The Garmin GPSMAP 66ST Value Bundle features the standard GPSMAP 66ST package bundled with a Carry Case, High Speed Multi Charger and a Rechargeable Battery Pack. Handheld GPS with Preloaded US & Canadian Topo Maps! Garmin has long been known for their rugged and reliable units and the GPSMAP 66st is no exception! Designed with a 3" sunlight-readable, color display the 66st comes preloaded with both US and Canadian topo maps as well as access to BirdsEye Satellite imager with direct to device downloads. 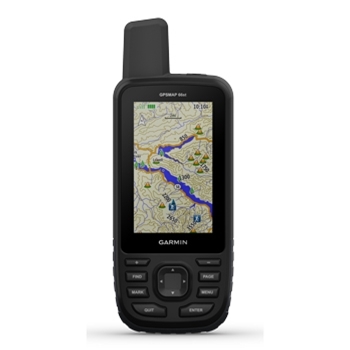 Whether Hiking, Hunting, kayaking or just out exploring the GPSMAP 66 st is a top choice in GPS companions. With multi-GNSS satellite support this handheld will have no problem finding and locking in to satellites no matter where you are in the world! Add to that ABC Sensors (Altimeter, Barometer and Compass) this unit will provide elevation data, predict weather changes and even keep your bearing whether you are moving or not! BirdsEye Satellite Imagery! - Add high resolution photo-realistic views direct to you device via downloads without any additional fees. View in clear, true detail - trails, trailheads and clearings for campsites, find parks and even create waypoints based on certain landmarks. And, this is all in additional to the preloaded terrain contours, topographic elevations, summits, parks, coastlines, rivers, lakes and more. Pair your Garmin GPSMAP with your compatible smartphone via Bluetooth for even more info. Get active weather updates which include real-time forecast, including live weather radar keeping you in the know and potentially avoiding inclement weather! In addition, the GPSMAP 66st is compatible with Garmin Explore mobile app allowing you to plan, review and sync data such as waypoints, routes and tracks. And once you are back home and have full access to the Garmin Explore Website you can review completed activities and plan for future ones! Designed to MIL-STD-810G for thermal, shock and water performance, the 66st is rugged and ready for adventure. 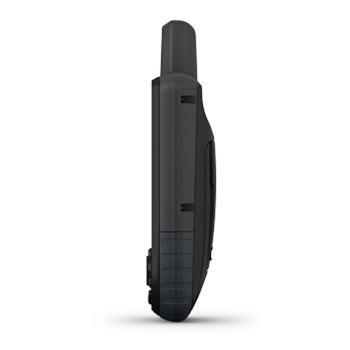 With up to 16hrs of battery life and 1 week in expedition mode the 66 includes a LED flashlight and SOS beacon that can be used in case of emergency to signal for help. No matter the adventure, the GPSMAP 66st is ready! Built to Military Standards MIL-STD-810G for shock and water performance. Garmin High Speed Multi-Charger with 2 USB ports. Use the 12v female outlet for your GPS and the USB to charge your phone or other USB Device. USB Cable not included. Garmin 24K Topo U.S. Southwest microSD/SD. Including coverage of Utah, Colorado, Arizona and New Mexico. Including Coverage of Washington, Oregon, California, Nevada and Hawaii. Including Coverage of Delaware, Maryland, West Virginia, Virginia, Kentucky, Tennessee, North Carolina, South Carolina, Louisiana, Mississippi, Alabama, Georgia, Puerto Rico and Florida. Including Coverage of Wisconsin, Michigan, Illinois, Indiana, Ohio, Pennsylvania, New Jersey, New York, Connecticut, Rhode Island, Massachusetts, Vermont, New Hampshire and Maine. Garmin Swivel Belt Clip for Handheld Units. Mount your compatible handheld device securely to your belt with this clip. Garmin 24K Topo U.S. North Central microSD/SD. Including coverage of Idaho, Montana, Wyoming, North Dakota, South Dakota, Minnesota, Nebraska and Iowa. Garmin's Flotation Lanyard for Garmin inReach SE+ and Explorer+ ensures your device is close by and secure when on the water. Includes quick-release connector. Be comfortable when you are monitoring your heart rate with the Garmin Premium Heart Rate Strap. The soft elastic band is easy to wear and replaceable when it is no longer usable.